Kailash Mansarovar Yatra 2019 is one of the biggest holy pilgriamge of Hindu , Jain & Budhhist. 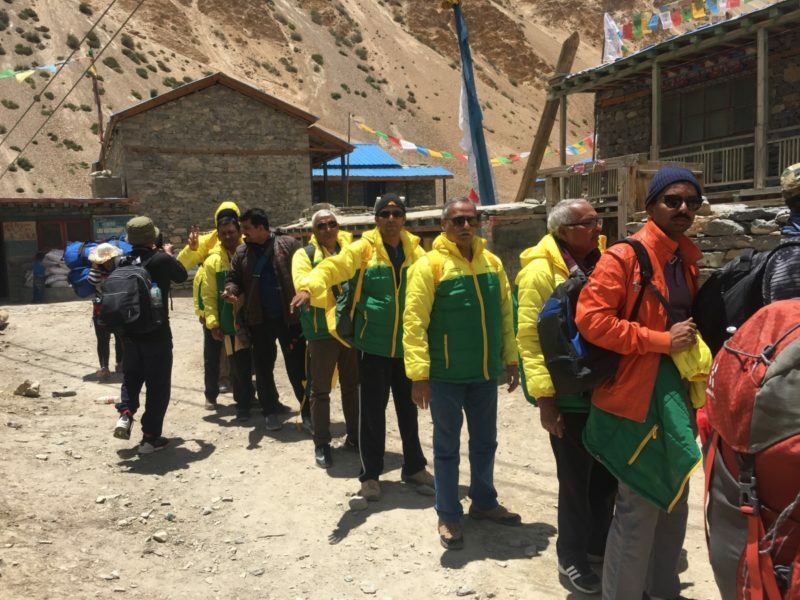 This yatra is organised every year by CIPSC china and local tour operators of other continent. KMY starts every year in the month of april/may and ends in september. This is Cheapest Tour Package Till date to go for Kailash Mansarovar Yatra 2019. this will be 14 Days Tour From Kathmandu ,you can Join from Kathmandu and from Rest of The Places also like New Delhi ( Rs 12000 extra, from Mumbai & Hyderabad Rs 20000 Extra, From Chennai & Bangalore Rs 22000 Extra. For Other Places You can Check the Kailash Mansarovar Tour Price Cost with Us. Bus will go directly till yam dwar from there if you are interested you can do the Trekking of your own or you can hire Ponny for 3 days. Normally Chinese Governemnt approved Ponny Person will charge Rs 25000- 30000 for Trekking . You can Book Ponny From here for 3 days Trekking. There is no facility to do Parikrama by Helicopter. Total Distance for Trekking is approx 45 Kms which is to be Covered in 3 Days. Kailash Mansarovar Yatra 2019 By Helicopter can be done from Lucknow/ Nepalganj & also from Kathmandu. Lucknow is the Base Point and from here Kailash mansarovar is very nearest as campare to Kathmandu. From Lucknow you go to Nepalganj which is 180 km and approx 4 hours Journey and from there you catch flight for simikot and from simikot you catch helicopter to come for Nepal China Border. from Border we enter into Tibet China and from there we go by Bus only , because helicopter is not allowed beyond this Point. The approx distance from border to Mount Kilash is 125Km and Lake Mansarovar is 75 Km. You can see Mount Kailash From Lake Mansarovar also. you can Join Kailash Mansarovar By Helicopter from Kathmandu & Lucknow and from Rest of The Places also like New Delhi ( Rs 10000 extra, from Mumbai & Hyderabad Rs 20000 Extra, From Chennai & Bangalore Rs 22000 Extra. For Other Places You can Check the Kailash Manarovar Tour Price Cost with Us. We have highest number of departures then any tour agency for Kailash mansarvoar yatra 2019. it will start from 1st may till 26th September 2019. Additional Dates May be added on Request subject to have bigger Group. In All Our Packages Kailash Mansarovar Yatra Parikrama ( Trekking) is Included unlike other Travel & Tour Agencies. 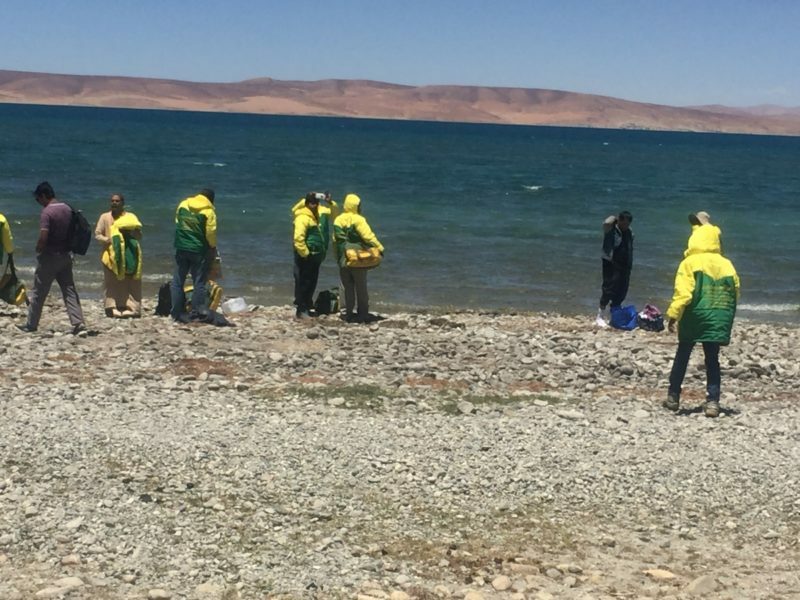 Lake Mansarovar Parikrama will be done by Bus Only & For Mount Kailash Parikrama ( Trekking) you will have to hire ponny or you can do by your own. Hotel accommdation during Kailash Mansarovar Yatra is not upto mark as per the amount you pay, because of the unavailabiliy. During Nepal stay you get some good quality hotels , but once you reach at remote places Like by Bus near rasuwa Garhi, Dunche, Nyalam, Kerong, Zongba , Lake masarovar and by helicopter near Simikot, Hilsa, Taklakot, Deraphuk, Zuthulphuk, you get Basic accommdation and that too on Multi Sharing basis. In Darchen you get some good quality hotel but that is not included in the Package Tour price , you can book hotel of Darchen directly from that hotel once you reach at Darchen after paying extra amount yourself. Average amount is around Yuan 600-700 which is INR 6000 to 7000 Per Night with Breakfast Plan or during Peak Time on ROom Only Basis. During Your Journey , we Provide Complete vegetarian meals with Tea Coffee, Breakfast, Lunch & dinner & evening Tea. The Price of The Meals are Included in the Package Cost. we keep meals by Keeping Health and environmental Condition. Meals are mixed combination of North Indian, South Indian & Gujarati. We also serve Hot water for drinking Purpose. Toilet facilities are not good at all places, In Nepal Side you get attached toilet Bathroom but once you reach at remote locations in Tibet & Nepal you get common toilets & washroons and after Taklakot, you even not get washroom & Toilets and you will have to go outside because toilets are not available at all after Taklakot/Dongba. 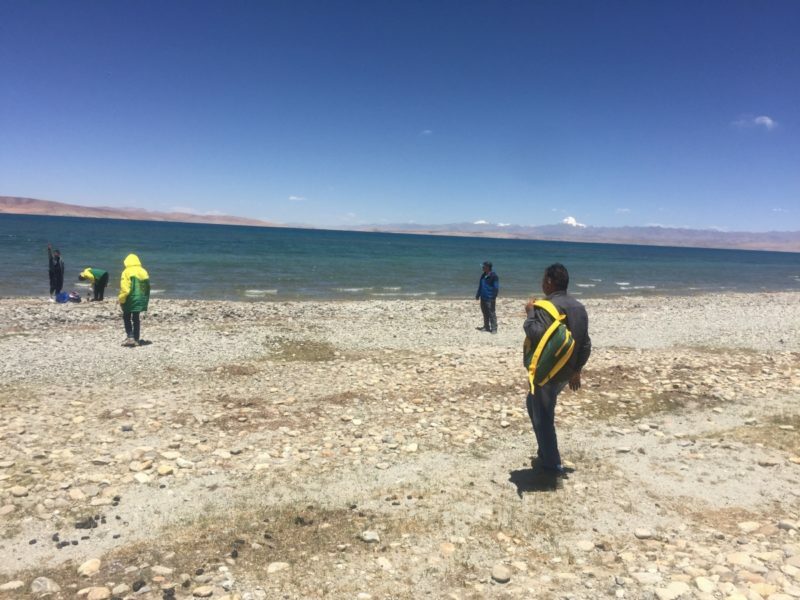 These are the Places with no Tolilet / washroom Facilities Lake Mansarovar , Darchen, Deraphuk, Zuthuphuk. 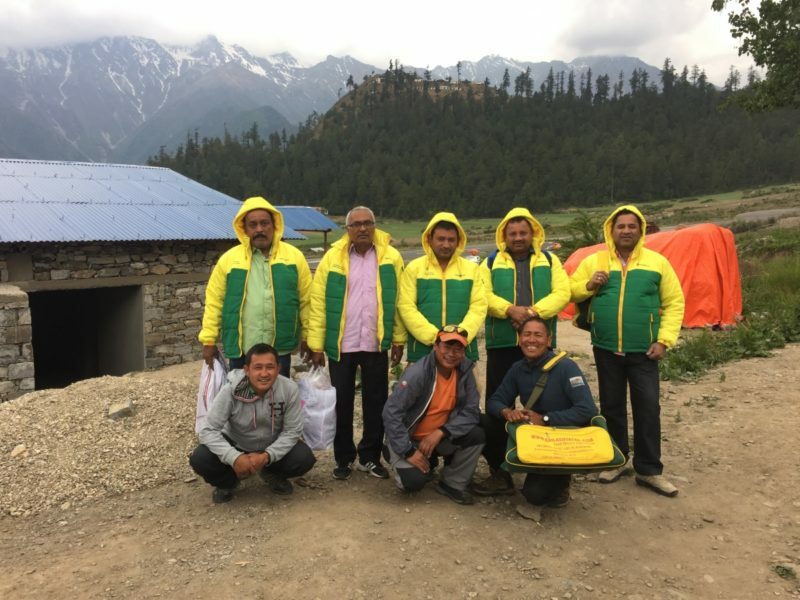 We Provide Nepali Staffs , who male food for you and we also Provide sherpa to help you in case of emergency apart from this we have Nepali Guide as well as 1 Tibetan Guide with Every Tour. 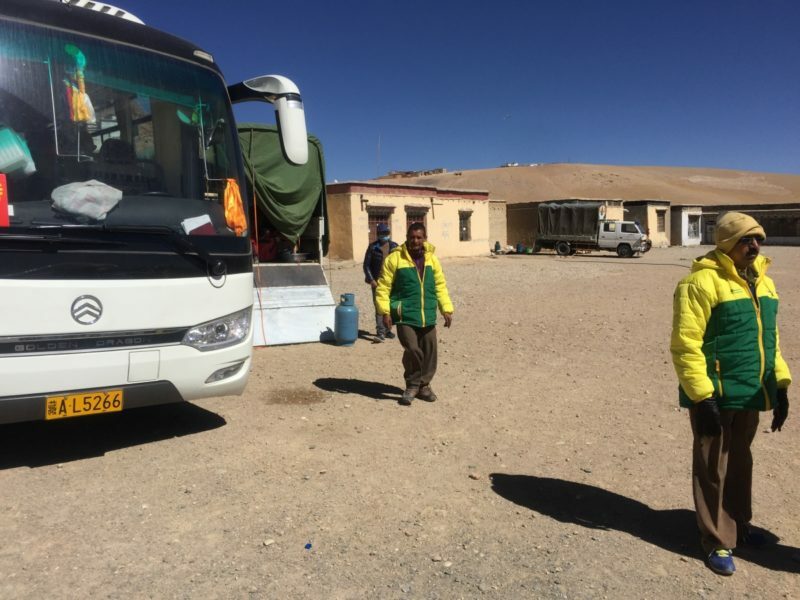 Once you enter into tibet you will have to go by road only to complete your Kailash Mansarovat Yatra, Buses are good in Condition and generally 17 to 25 members seat in the bus. You can also go by small vehicle but the charges are very expensive. Small vehicles are used like Landcruiser and Jeep /Van. Weather condtion during kaialsh mansarovar yatra is not always in your favour and you find approx temperature during your trip of kailash mansarovar is around -10*C to 5*c. so its not easy to adjust these temperature during your yatra. Age Limit for Kailash masnarovar Yatra is generally 10 Years to 69 Years. if your age comes under this then you get visa easily. maximum age for kailash is 69 years. if you are above 69 years then your visa getting chances are less and in most of the cases it is rejected by Chinese Government. We Provide Down Jacket on Return Basis, rest of the Items Like Duffel Bag, Back Pack, Passport Holders you get free of Cost. Kailash Mansarovar Yatra 2018 Registration is Open and is valid for all Pilgrims interested to Visit Kailash mansarovar Yatra in 2018. Registration is Purely on First Come First Serve Basis. Registration amount is Rs 15000/- Per Person for all the Tours By Helicopter & By Bus. Kailash Mansarovar Yatra 2018 cannot be done without Valid Passport & Visa. These Two Documenrs are Compulsory along with Valid Medical Certificate. Visa’s Are issued by Chinese Government And which is Included in The Package Cost. Passport will be issued by Your Country Government. Passport must have atleast Six Month Validity Left and should not be banned to visit China. 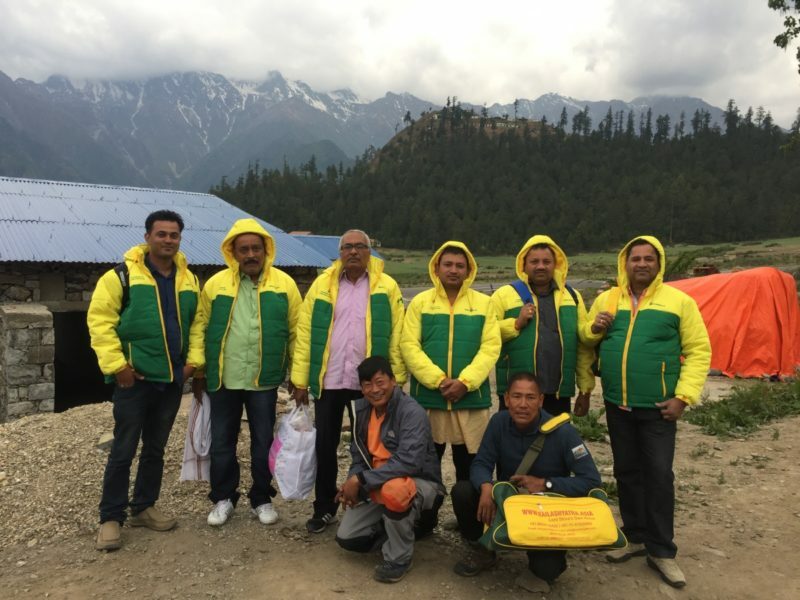 To get Registration for Kailash Mansarovar Yatra we need one Medical Certificate from any MBBS Doctor, in which they mention ”This Person is physically fit to undergo Kailash mansarovar Tour 2019 on their Prescription ” . The Diffrence Between inner Kora & Outer Kora is that in Inner Kora you spend 3 to 4 days extra to visit Nandi Parvat, Ashtpad & Saptrishi Temple apart from Mount Kailash & lake Mansarovar . In outer Kora You Just Visit Lake Mansarovar & Mount Kailash. Generally you dont get Permission for Inner Kora so its not happening from past 2 -3 years. Outer Kora is enough for this Holy Journey, you dont need to visit Inner Kora. It is Just adding extra days in your adventure. New Delhi- Kathmandu- Dunche- Rasuwagarhi- Krong Border- Saga- Dongba- Lake Mansarovar- Darchen- Yamdwar- Deraphuk- Zuthulphuk- Darchen & Back to New Delhi by Same Route.